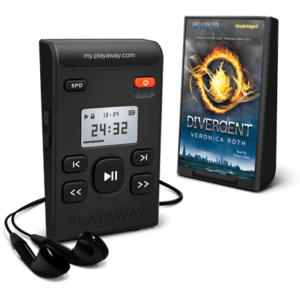 Playaway® are simple and secure sound devices to deliver your audio content to your customers that would like little hassle to absorb your content while they’re on the go. Your digital content can be pre-loaded securely to your sound devices, and doesn’t allow the content to easily be copied or loaded onto a computer like other devices. These sound devices hold an entire audiobook, regardless of length. Play time depends on the length of the title and can range from 25 minutes to 80+ hours. 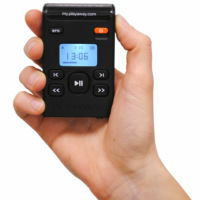 Using only a few buttons, a listener can easily navigate back and forth through a chapter, adjust volume up and down, and even alter the speed of a narrator’s voice. Has an automatic bookmark feature that remembers where you stopped listening and resumes at that point when turned on again. When your customers receive this, they will insert the included standard AAA battery, plug in earbuds, press the play button, and enjoy. Need a product to play a lot of Audio? Weighs only two ounces and comes packaged with earbuds and a standard AAA battery to allow for immediate listening. Additionally, it has a universal jack that works with almost any type of headphone or mobility accessory. Optimize & Organize your audio program to a standalone device that holds up to long term usage. 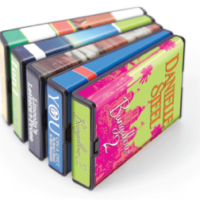 Format your content onto a portable a physical product that will allow the user to learn anywhere. Does not allow for the content to be taken off the device to help keep your intellectual property secure.